... 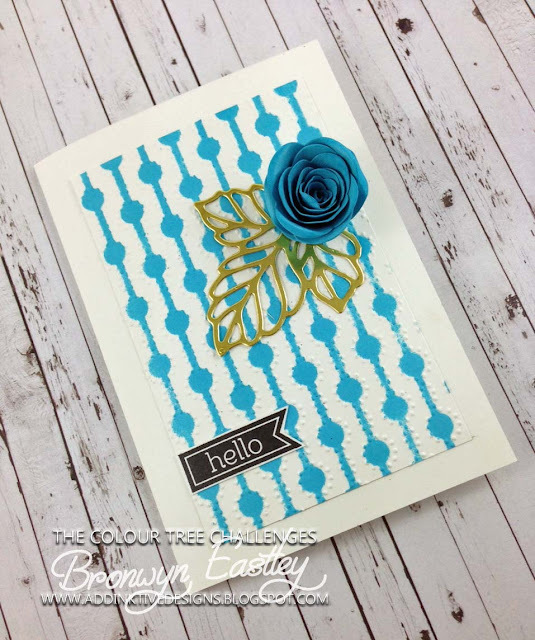 I was wondering if you would like to see ... what the next challenge at The Colour Tree will be? 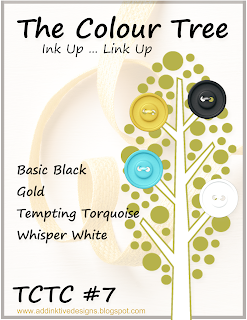 If you have been following my little journey with The Colour Tree, you will know that I love the addition of 'Gold' to a colour combo! It's been a bit of a fad. This time around I was also keen to try the Elegant Dots Embossing Folder with the coordinating mask from Happy Patterns. The simple layout is a CASE from a Stampin' Success Magazine but I decided to use a rose instead of a butterfly as I have made a few butterfly cards lately. 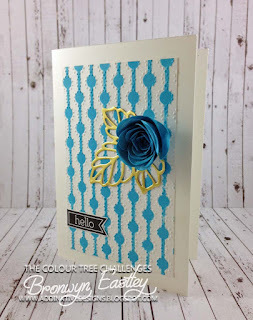 I hope you can join in with the latest challenge by linking up your project in the TCT Gallery.